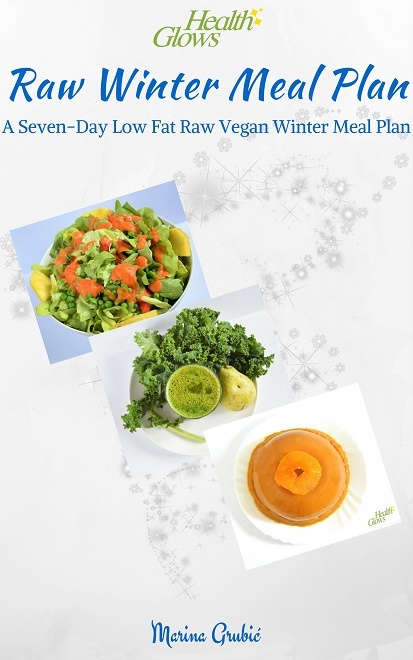 "Raw Winter Meal Plan" teaches you how to organize, prepare and serve meals on a low fat raw vegan diet with the ingredients available during winter time in the northern hemisphere. What do you get from "Raw Winter Meal Plan"? I sincerely hope that "Raw Winter Meal Plan" will give you a lot of value and that you will enjoy in healthy, tasty and nicely arranged raw food. "I read it last night and I love it! Simple, yet powerful, this meal plan reflects your commitment and the truth about the natural diet."